﻿﻿﻿Crystal Palace Train Station will soon have an energy garden, join our event to find out more. Or download the documents below. 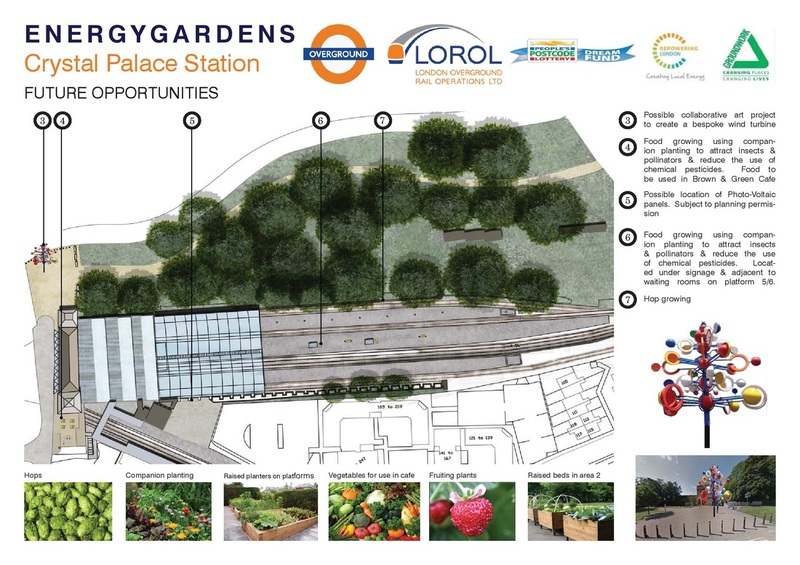 Crystal Palace railway station will soon be home to a community-led Energy Garden, combining plants with renewable energy sources. After the original community consultation last year, we are now approaching the final set of plans - and we'd like to hear what you think!